With the continuous support and sincere efforts put by our experienced professionals, we have been able to provide our clients the best quality CE Marking Service. We have a team of diligent professionals that is well-versed in their respected domain to impart this service as per the specific clients' requirements. The offered service is a mandatory mark to the products sold in European Economic Area. Further, Our qualified professionals is well-versed in this domain and provide the information about the certification process to the organizations. 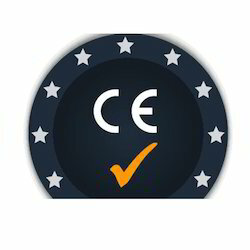 Looking for CE Marking Service ?